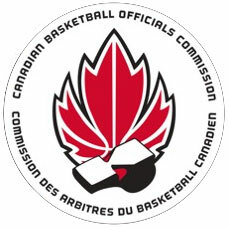 The Manitoba Association of Basketball Officials has once again aligned itself with the Canadian Association of Basketball Officials (CABO) for the mandatory writing of the FIBA National Exam. The 2012-2013 FIBA Exam will once again be administered ‘on-line’, and will be accessed through the CABO web site. The Exam will be available to all current members commencing November 15, 2012 and will be available until December 15, 2012. 1) All officials are required to write this exam and obtain a minimum mark of 70% in order to receive any assignments. 3) Any official failing to achieve the minimum required mark based on his/her current CABO Level status would be allowed one re-write. This rewrite opportunity will be made available within 48 hours following your first exam and will expire on December 15, 2012 and will also be administered on-line (CABO website). 4) The exam consists of 50 «YES-NO» questions. There will be a 90 minute time limit for this exam. 5) National Tournaments: Any official who is assigned to games at the national level is required to write the national FIBA exam and receive a minimum score in order to receive assignments. The minimum score for officials in consideration to receive national assignments is 86%. 6) For those officials WITHOUT access to a computer to write the exam, you will need to make arrange ments with the Basketball Manitoba office at 145 Pacific Avenue in Winnipeg on Monday to Fridays between 9:00 am - 4:00 pm to set up a time to use the computer lab on site. Please call Ian at (204) 925-5775 to make arrangements. 2. On the main page, scroll down to the heading “2012-2013 CABO National Rules Exam”. Click either Exam - English to write the exam in English or Exam - Francais in French. After you thoroughly read the instructions, scroll down the page and click on ‘Manitoba’. 4. The password for MABO Full members is MB2013. “MB” is uppercase (no spaces). 5. ALL information on the login screen is mandatory to help your Provincial Interpreter in sorting the results. Use the local association you officiate in for the “Local Association” field. 6. Once started, you have 90 minutes to finish - you may save and exit, but the clock does NOT stop. Write down the access code before starting the test (the code is case sensitive). When you log back in (using the code) you will only have the remaining time from your initial 90 minutes. Ex: You have been writing the exam for 15 minutes and yo have to take an important phone call so you save and exit the exam. After 15 minutes you r eturn to your exam using the access code. You will only have 60 minutes left to complete the exam. 7. Please make sure you are going to be able to complete once you begin. 8. You may only take the test online ONCE. The system will NOT let you take it a second time - please make sure you review all questions and have an answer for each. 9. All questions are yes/no as in previous years - read each question carefully. 10. There are 50 questions, but they are randomized for each person - so your question order will in all likelihood NOT be the same as anyone else. Everyone has the same 50 questions, but in different orders. 11. When finish ed and satisfied please submit the exam. Your score will be totaled and shown to you upon completion (#correct out of 50 and %) - but you will NOT be able to review the exam until after December 15th. Your mark will also be posted on your profile section of the MABO website. 12. Should you require a “REWRITE”, you will be able to take the test again on the CABO website within 48 hours of your first exam – login information will be reset, so follow the same procedure. 13. Your exam and results will be emailed to your Provincial Interpreter for evaluation. 14. If you skip a question on the exam the test program does NOT inform you after you have answered the 50th question. If you hit submit, the skipped question will be listed as answered incorrec t. Please make sure you back track and review to make sure every question is answered. 16. If you have any questions please contact Cam Moskal, MABO Provincial Interpreter,moskalc@shaw.ca or 204-667-5542. A copy of the exam questions and a complete answer sheet with rule book references will be made available on the MABO website following the exam writing periods.